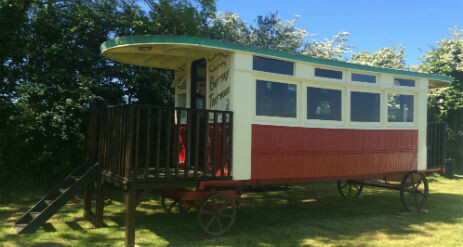 Vintage Glamping offers a collection of three original vintage wagons at Penrhiwgaled Farm, near the coastal town of New Quay in Wales. 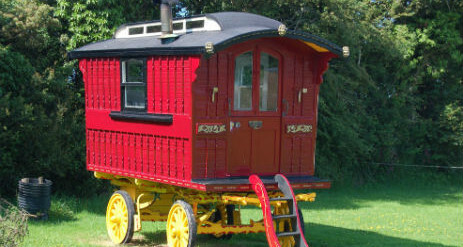 The Wagons include The Showman’s Home, Betsey Trotwood a horse drawn tram and The Gypsy Wagon, all of which are are over 70 years old and have many original features. 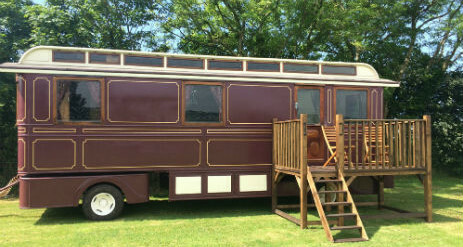 The beautifully restored 1940’s wagon offers a luxurious glamping experience with 3 rooms. 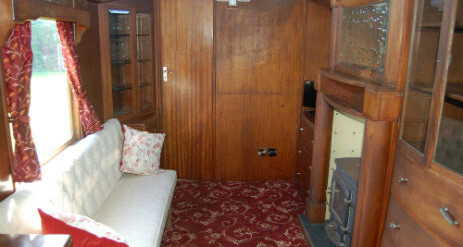 The living room and bedroom are panelled with wood and have all the original fitted cupboards and drawers that would have stored many of the travelling showman’s worldly possessions. The cut glass windows, and the feature mirror showing a traction engine etched into the glass are some of the expensive details that those showmen commissioned to customise their wagons. 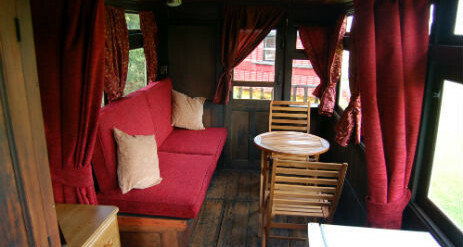 Some of the original gaslight fittings are still there, however the wagon now runs off electricity and has a modern wood burning stove. Living room has a sofa, armchair, fitted cupboards & dresser and TV. 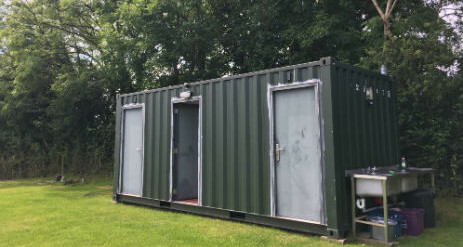 Things to do in and around the area include….